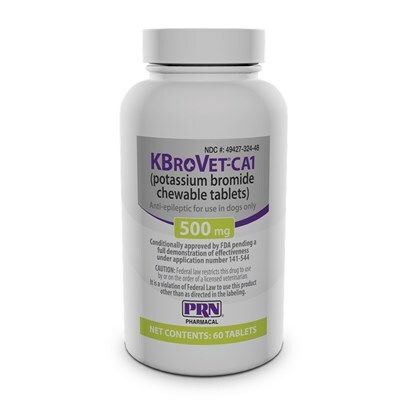 A liver flavored chewable tablet for dogs containing Potassium Bromide. Options Available: Chewable Tablets - 250 mg - 60 ct. Chewable Tablets - 500mg - 60 ct. Rated 4.5 out of 5 by 9 reviewers. This product is 1/2 the price with the Pet Care Plus than at the Vet!! This product works well, but has side effects. Product doing a fair job.